Typically when you think of February, your mind goes to chocolates, flowers, and other lovey-dovey things. So we thought we’d celebrate this sappy month by scaring the bejesus out of you with Outlast on PS4. We also have some great single-player PS3 experiences, including Metro: Last Light, a first-person shooter with an interesting take on morality, and Remember Me, a third-person action adventure where you’ll take down an evil corporation by beating lots of people up with your own unique combos and messing with people’s memories. If you have a significant other, you might be able to rope him or her into some bank-robbing action with Payday 2 on PS3. After all, everyone likes stealing stuff. I mean, uh… nevermind. Finally, two PS Vita titles are joining the Instant Game Collection: Street Fighter X Tekken and ModNation Racers: Road Trip. Both include functionality with their respective PS3 versions. Fight against your friends in Street Fighter X Tekken no matter what platform they have, or download your previously made PS3 creations and use them in ModNation Racers: Road Trip. What are your thoughts on last month’s Instant Game Collection? If you’ve got feedback on PlayStation Plus make sure you take the poll above as well as leave a comment below. To chat about all things PlayStation, including this update, you can head over to the PlayStation Community Forums. You’ll also find other topics you can contribute your thoughts to, or you can start your own discussion. Holy amazing! That’s a helluva lineup right there! Awesome! You guys are ridiculous. Can’t wait for this month. Wow. Awesome lineup. Out of curiosity, moving forward are we going to continue to get only 1 game for PS4 or at some point will it move back to the usual 2 games per month once it has established a bigger library of games? This is not a comment often made in these posts, so thank you. Genuinely. Thanks PlayStation for another amazing month for Plus! Very excited for Outlast and Metro…now if only I can find some spare time. This might be the best month you’ve had since I joined a few years ago. REALLY excited. GREAT LINEUP! I don’t own any of these! WOW! I definitely did not expect that. This is probably going to be my favorite month of PS Plus so far. Just wow! Happy to be a PS+ member, i love PlayStation. OK, It’s good enough!! keep giving good games like this and I’ll subscribe forever. This is insane… 2014 is insane. I have already Platted Remember me and Metro last light, but I am really looking forward to Payday 2, I loved the first. Last Light! This game has been on my list for ages and I kept forgetting about it. Can’t wait! You guys are making it way too hard to not buy a vita. Why do I have to be a broke student! amazing month for the IGC..
Great stuff as usual (including the video)! Ugh, why couldn’t Street Fighter X Tekken be PS3? Otherwise, cool set of games. Damn, you guys really know how to spoil us. Remember Me, Yes!! By the way, Kristine, you’re voice is so soothing. Remember Me!! Yes!! Looking forward to this month! Wow, just wow. Remember Me is the highlight for me this month, but all around great stuff. Seriously, guys. The PS+ games are too good. Scale it back a bit. Proud as always to be a PLUS member. Kudos to the team (and my wallet) for the great month! Great time to be a Plus member. I’ve been wanting to play all of these games, except maybe Mod Nation. Outlast looks freakin’ amazing. I was pretty addicted to Don’t Starve. Tekken is one of my favorites of all time. Metro and Remember Me came out of left field, but a welcome surprise. Thanks Playstation. This is unbelievable. Best month yet! I don’t have any of these, and I want all of them. Very exciting month. Thank you! Kristine, you got the month title wrong for the youtube video. Shouldn’t it be January instead of February? I alerted that team, so hopefully it will be fixed soon. Another exciting lineup! Thanks Sony! 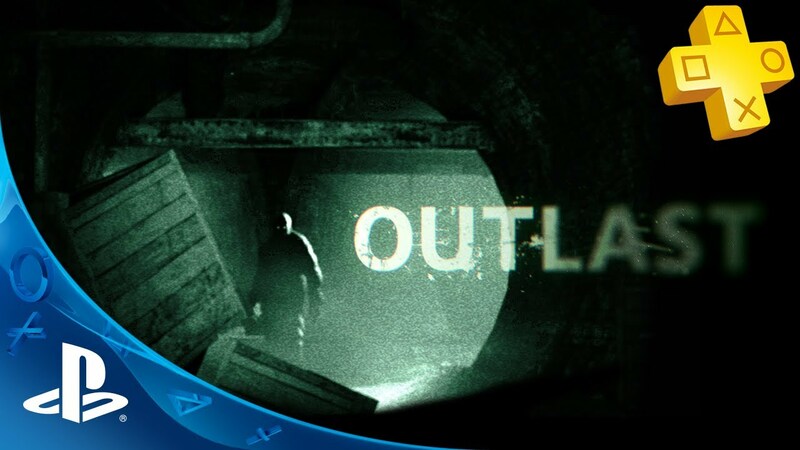 Outlast is looking really cool cant wait to fire that up on tuesday. I take it Street Fighter X Tekken isn’t a crossbuy for the PS3. I’d love to play it but don’t have a Vita. But I’m not done with DMC yet! All of these games are too much. Very Excited for Remember me its looking like a great game. No reason you should be so great to Playstation users and offer this kindness. your appreciation and love for your fans really shows. I have so much respect, appreciation and love for you also!!!!!!!!! AMAZING LINEUP. PS+ is such a godly service. For EU suscribers the Seasson Pass of Metro: Last Ligth it’s at €3.75. It will be at same price for us? I understand what you mean, but I have to say… if they would do that I would probably get more then the 50 bucks I spend on PS+ returned. It’d make a bit more sense if they did it only if you bought that game within the past X time. Like 2 or 3 months orso, because I have seen a tendency of games becoming free not long after a sale. Nevertheless I still think it’s an awesome deal especially if you own more then 1 console, even if you own 75% of the offers you’d still come out on top year-wise.